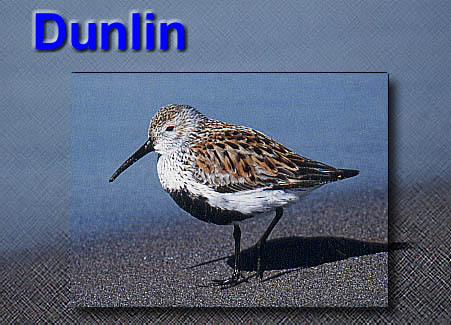 This is a Dunlin, a small sandpiper that nests in the arctic and winters along the coasts. I photographed this bird at Montrose Beach in Chicago in 1994. For this image, I selected a rectangular area around the bird, "raised" it by adding a drop shadow, and increased the saturation level of the blue. I also used a crosshatch filter for the background. For the type, I created a layer and added a bevel to make it stand out.